The term “Baptism” means “immersion,” and so this sacrament “immerses” us into the Death and Resurrection of Christ (cf. Rom 6:3-4; Col 2:12). Consequently, we receive the forgiveness of sins (cf. Acts 2:38) and are incorporated into the Church (cf. 1 Cor 12:13). 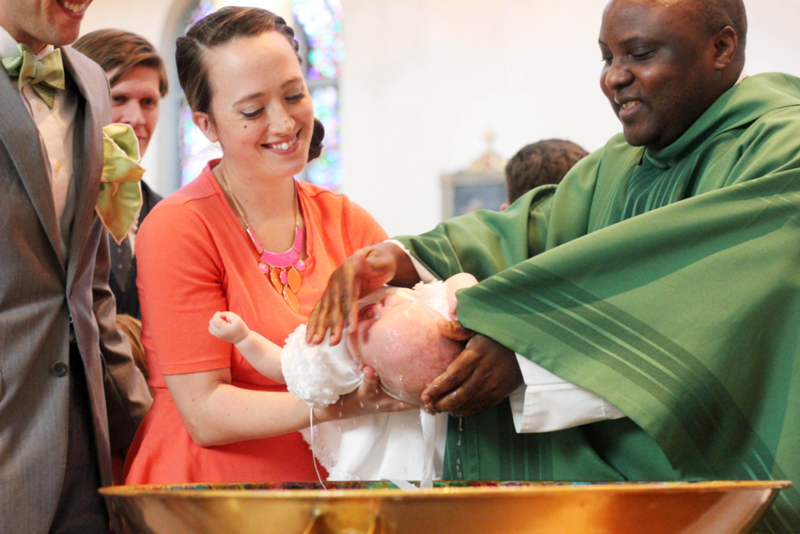 This hope is grounded in the lives of the parents, the godparents, and the parish community. Godparents join the parents in presenting the child for Baptism and help the child to lead a Christian life in harmony with the sacrament.